Rebecca Barnwell is the Student Services Coordinator and an advisor for the School of Business at USC Aiken. Also, she has a BA in English from USC Aiken and is currently an MBA student at the university. 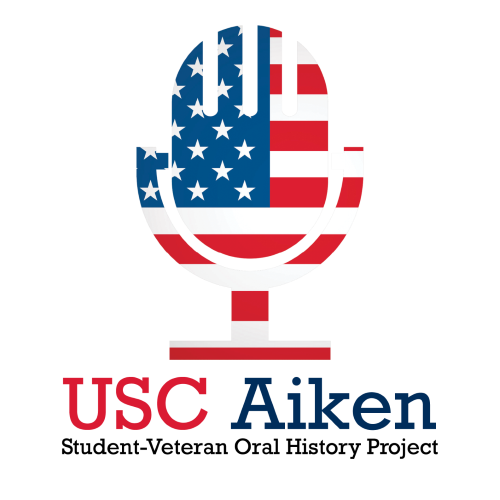 The interviewer is a student in the Honors College at the University of South Carolina Aiken, conducting the interview as part of the curriculum for the Fall 2017 Honors 101 class where students interview a student veteran from the USC Aiken campus. The interview begins with Rebecca Barnwell’s early life in Missouri. It transitions to a discussion of her enlistment into the military after graduating high school and her basic training experiences at Fort Jackson, South Carolina. From there, the conversation turns to her job as a Spanish linguist in the military and some of her stateside duties in the military, from being an interceptor to working with her Military Intelligence Unit. Then, the narrator discusses her deployment to Mosul, Iraq. Some topics include her initial emotions of going to Iraq, her job of delivering papers, her interactions with the local population, and her memorable experiences overseas. The interview moves to her return to the United States and her decision to leave the military with her husband. Also, she discusses the struggles of being a woman in the military. Finally, the interview concludes with a discussion of her current life including her children, her work as an advisor at USC Aiken, her desire to obtain an MBA from USC Aiken, and her future goals in life.